I started with no rank at all. But more than the rank , this campaign has helped me get new ideas to write and give me a view of what all is happening and written about. The sharing of ideas and thoughts is mind blowing. That’s wonderful to know. Indeed, just reading so many blogs is so enriching. Thanks for dropping by. Numbers are numbers. They don’t have any meaning if they are not related to our hearts. happy to connect with you for #MyFriendAlexa !!!! Honestly, I don’t really understand this whole blogging and numbers and Alexa business. 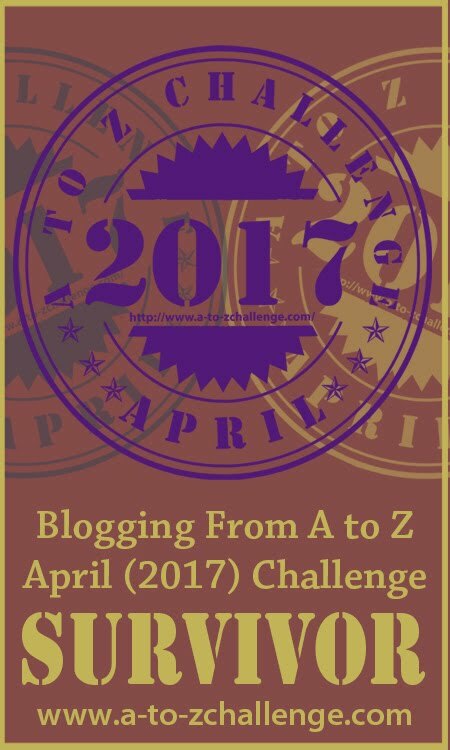 I have participated in three A to Z challenges, 2 Ultimate Blogger Challenges and now this Alexa stuff with Blogchatter. I am a member of Blogadda and Indiblogger and several blogging groups but don’t find any sufficient increase in either data, traffic or any such thing. I find that while the traffic may increase during a blogathon, it doesn’t necessarily meant it is sustainable. I agree. It would be challenging to maintain the buzz after a blogathon. Blogging world is seeing so many new bloggers which kind of creates too much crowd. Therefore getting noticed is difficult. With good positioning of your blog and quality write up you can certainly get noticed. All the best! Indeed there’s a lot of numbers in the blogging world, though I don’t quite look at them very seriously either. 🙂 Congratulations on the big-time drop in your Alexa rank already! Well in a fortnight I see a huge drop in the rank you started with! :) Congratulations on that! Alexa is a lot of fun. It introduces new people to your blog, gets you into the habit of reading other blogs and you’re richer in knowledge. Have fun for the next fortnight! And there you are …shedding a lot of it and making it to 2860440…Congratulations.. Yes indeed. Thank you so much. Oh the numbers have gone down by more than half. Thank you Roshan. I know right? This year marks 5 years of my travel blog and I checked up Alexa to realise I was 18 million something! Twice your number might I add. But hope this helps… I am already seeing the numbers change . Congratulations on 5 years of your travel blog! Wow, that’s quite an achievement. Great to know that the numbers are changing for you. Your patience will pay off. Good Luck to you Kuheli and hoping to stay connected. Thanks for dropping in here. Awww, thank you so much Ishieta for your kind words. That’s very encouraging indeed. So glad to know you enjoy reading my blog. I too hope to connect with more readers in the forthcoming days. Thank you Ruchie. Look forward to more of your comments here.